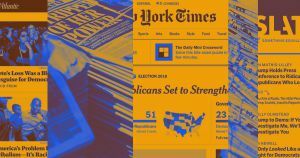 Microsoft’s artificial intelligence research lab knows that reading the news is hard, so they built a neural net to do it for you. According to research shared on ArXiv on Monday, the algorithm is able to parse through a short news column — the samples themselves were about a paragraph long — and churn out a sentence or two to summarize the most important information. Reading the samples, it’s clear that the algorithm can’t really understand what it writes. Microsoft hasn’t quite cracked an ongoing challenge for AI researchers trying to get their software to understand context and nuance. In fact, much of the prose generated by the algorithm is directly copied and pasted from the input text. The more successful examples are simply shorter versions of the first two sentences of the original news column, which were probably written conventionally with the most important facts up top. Some changes are made for clarity, though. For instance, the phrase “…Atlanta Police spokeswoman Elizabeth Espy said” becomes “police say” in the shortened version. No, this doesn’t mean AI is coming for journalism; you can get down from that high horse of yours. Rather, algorithms like this stand to help journalists and readers who are understandably exhausted by the news cycle. Because honestly, we get it.